To get this on-trend, yet timeless look, eliminate curves and unnecessary ornamentation. 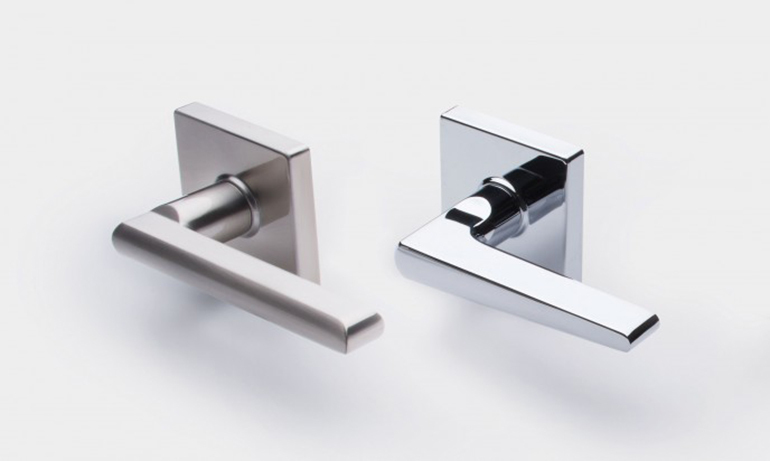 Try our Premier Series Vega or Equinox lever (shown above) now available with square rose as a standard. Or you can opt for any of our other Premier Collection levers with a square rose kit. 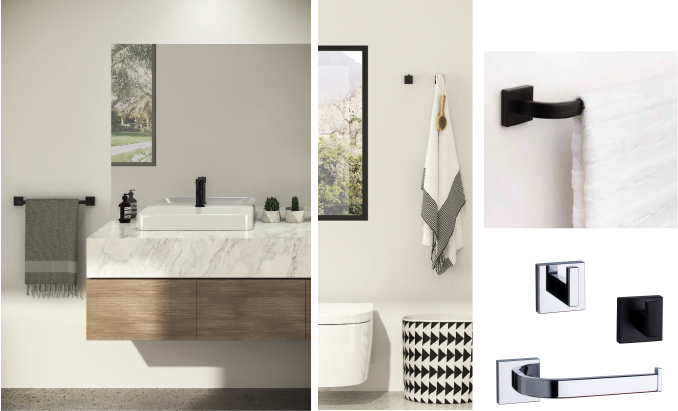 For a balanced curated look, square off your bathroom with coordinating square fixtures and hardware. Our Zurich bath collection (shown above) features clean and distinct lines for architectural appeal. 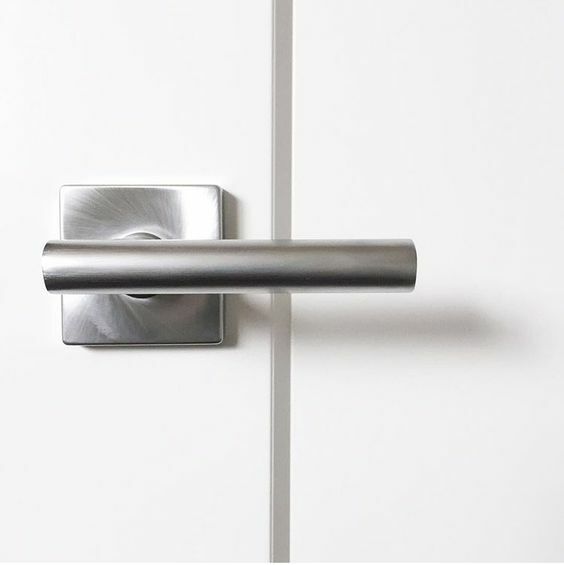 Zurich perfectly complements the linear styling of several Taymor Premier Collection door hardware designs, and pairs exceptionally well with our contemporary square rose option. 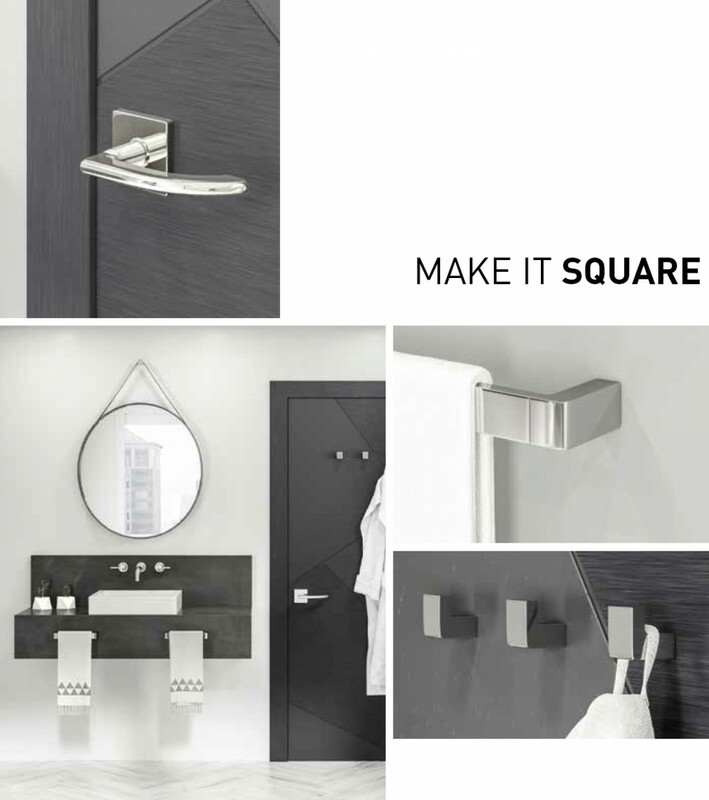 If the hard edges of square pieces are too much for your taste then perhaps try our new Allusion bath collection. 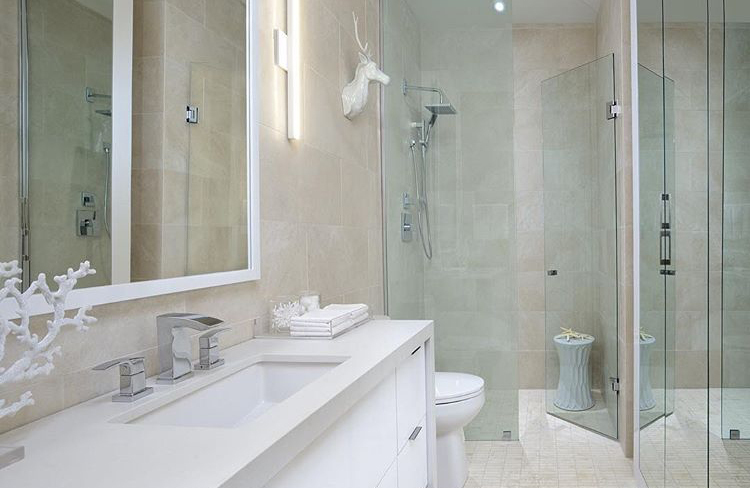 The ultimate in minimalism, Allusion features a seamless, sculptural presence while maintaining some softer touches to provide that relaxing atmosphere that is so important in a bathroom. 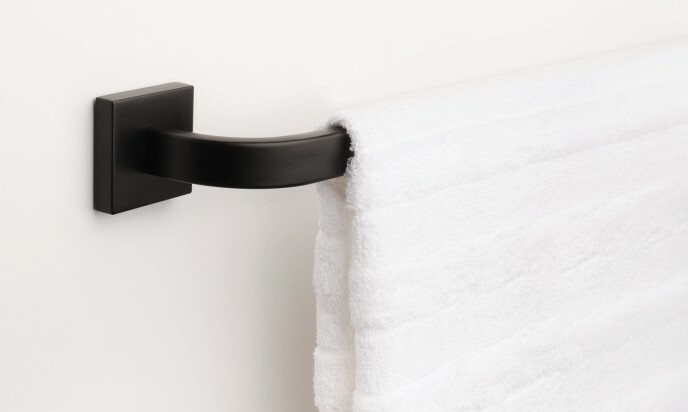 It’s also available in two contemporary finishes: Polished Chrome and Matte Black. 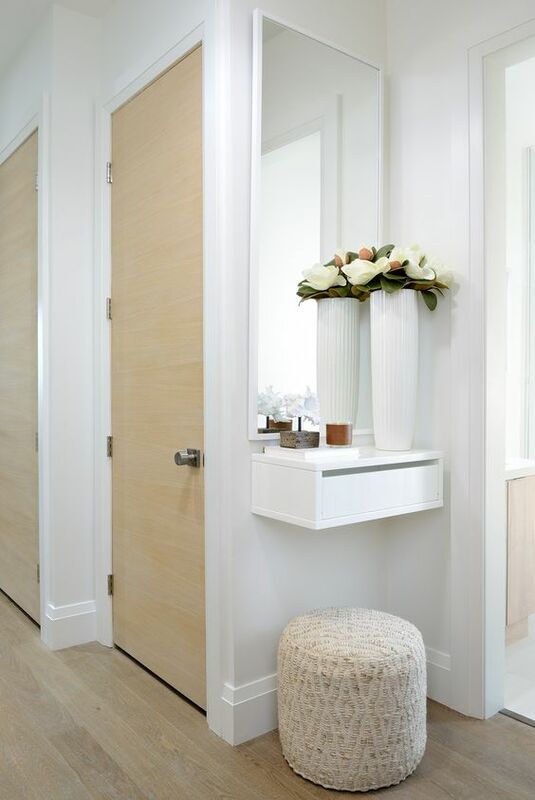 For more ideas or help with selecting locks or door and bath hardware for your next design project, please contact us.